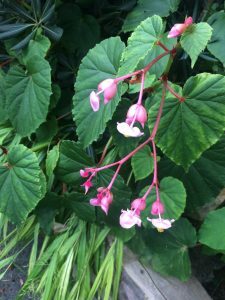 Cold hardy Begonia that we love as a dependable and pretty late blooming perennial. Large wing shaped leaves have a reverse of light red. 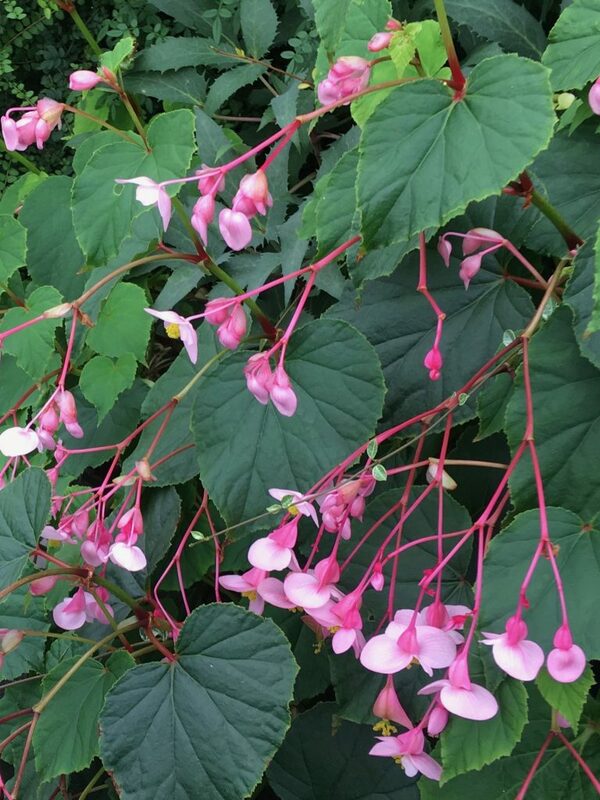 In late summer to early autumn to 30″ tall upright plants produce pendant clusters of pink/off white very showy flowers. Rich moisture retentive soil in part shade to shade. Great long lived plant for borders, shady glens. the shadows of ponds. Disappears entirely in winter. On occasion bulbils that appear in the leaf axils will detach and produce new plants. Move easily or share with friends. Not bothered by snails/slugs.